I'm often asked if I actually trade, or I just sell my DecisionBar Software. Well, these days I'm semi-retired and do a little of both, but there was a time when trading was the only way I had to put food on the table. It was 1992, and I remember walking out of the courthouse in Ft. Lauderdale, Florida wondering what I was going to do next. The settlement was simple. I got custody of my two-year old daughter, and my ex-wife got the house, the new car and most of the money. My marketing business had gone belly-up after my "ex" raided the bank account, and I had no idea what I was going to do to survive. I hadn’t had much success as a trader back then. I had read a lot of books, learned about a lot of indicators, and even taken a “Home Study Course” that promised I could “Make a Fortune in the Stock Market,” but nothing seemed to work for me. Now I was about to make the most important trade of my life!! At those old terminals, you couldn’t do much but apply some basic indicators, like Moving Averages or Stochastics, and draw lines. It feels like I stared at that chart for hours, but it could only have been for a few minutes because I had to pick up my daughter from the baby sitter. What would You do if the welfare of yourself and your family depended on your next trade? Would you depend on some arcane indicators, or would you look for a low risk trade that was “in sync” with the market? That was the decision I faced. I had done enough trading, and experienced enough losses, to know that mathematical indicators were unreliable, and chart patterns, like Head and Shoulder patterns, didn’t occur often enough to matter, even if they were reliable. Take another look at the chart. Do you see what I saw? Anyway, when he came over I gave him strict orders to take all the money in my account and buy General Motors if it moved above the value of the upper horizontal line, or to sell GM short if it fell below the value of the lower horizontal line. Of course, he had to tell me I was crazy and didn’t know what I was doing (and I wasn’t all that sure I didn’t agree with him) but I made him place the orders, and left to pick up my daughter. For the next couple of weeks I was busy finding an apartment, moving, interviewing baby-sitters, and doing whatever else just-divorced people do as they prepare to begin the next part of their lives. I didn’t read newspapers, and didn’t even think about the stock market. My Trading account had increased in value by almost 20%!! A few minutes later, I had liquidated my position and I had my first paycheck as a trader!! I won’t tell you that I was on easy street after that. I still had a lot to learn, a lot of mistakes to make, and a lot of avenues to explore, but that one trade convinced me to stop listening to others and to follow my instincts. Through the years I found more low-risk, high percentage set-ups. I found that all markets show a basic rhythm based on supply and demand, support and resistance, momentum and exhaustion. Eventually, I became a full time trader and began day-trading stocks and other trading instruments like futures and forex. My reputation grew among a select group of well known Internet “Gurus” who would hire me to teach them my methods. Eventually, I hired some programmers to turn my low-risk, high percentage trading methods into an easy to use software program. As my daughter grew older and went to college, I started to realize that there was no longer a reason for me to spend day after day sitting in front of the computer. I didn't plan to give up trading, but I wanted to do some traveling and make good on some promises I made a long time ago. I decided to release my software to the public, and I called it DecisionBar Trading Software. 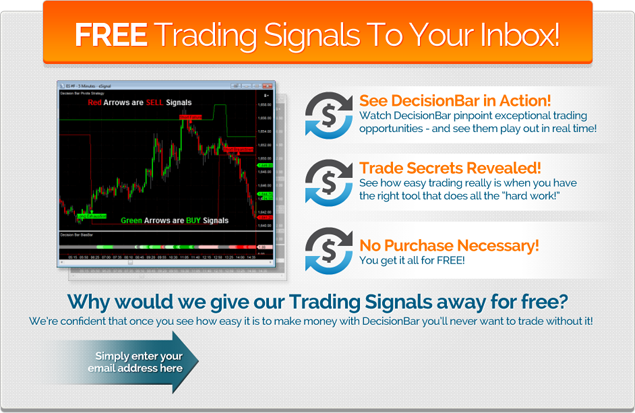 If you want to skip all that heartache, and learn how you can master the market right now, I suggest you look over my website and learn about my DecisionBar Trading Software. I’ll even share some trading secrets with you that I’ve learned along the way …. Without any obligation what-so-ever. Making my DecisionBar Trading Methods available to you is my way of giving something back, and at the same time “flipping the bird” at the Trading Mafia. (That's what I call those guys that line their pockets by spreading trading misinformation.) They almost had me convinced that I couldn’t possibly be a profitable trader on my own. Once you master the markets you will find that your life changes completely. Having the confidence that you can take money out of the markets whenever you need to lets you see the world in a new light. Everyday presents new opportunities, not just to make money, but also to enjoy your family, see new places, and enjoy new adventures. I hope you decide to try my DecisionBar software. 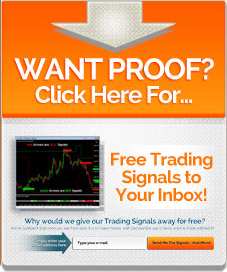 With our risk-free trial you have nothing to lose and a career as a trader to gain. But, no matter what you decide, I wish you the best in your future endeavors. P.S. – In case you were wondering, my old broker, Bill, eventually got out of the brokerage business and opened up a restaurant. He’s a much better chef than he was a broker. P.P.S. If you have any questions, or we can help you in any way, please feel free to contact us.